I don't mean to boast but I think I have just stumbled upon the best Christmas jumper in the world ever. 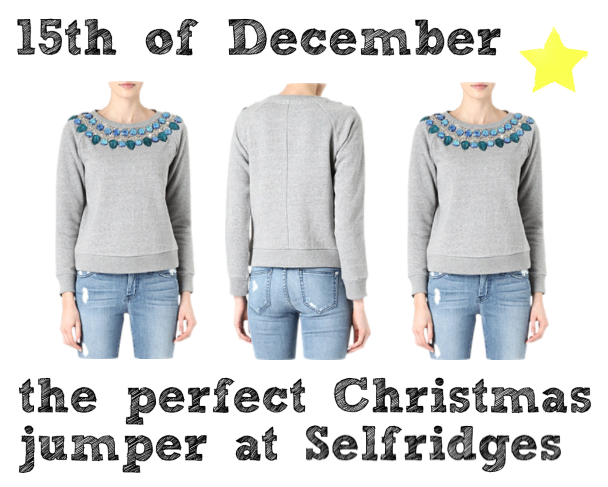 On Monday evening I was mindlessly checking emails when a Selfridges one came in, with this jumper. Cue 3 minutes of oohing and aahing as I discovered a new name, Needle and Thread. Love it and love the jeans too, do You know wich brand are! !